A company that was green from the beginning, they offer non-traditional bundling solutions which increase throughput, protect product quality & integrity, and reduce packaging material and labor costs for customers worldwide. 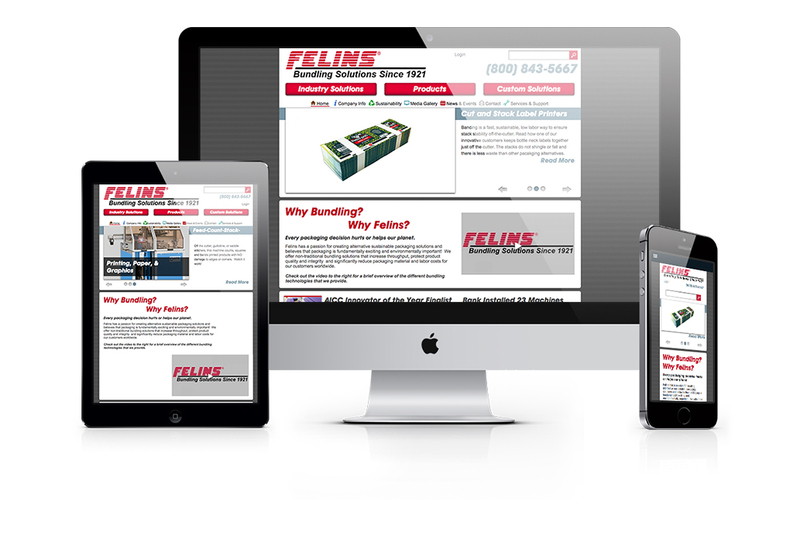 Felins wanted to push their online efforts to the next level with a complete overhaul of their web presence. Our goal was to create a clean, concise website that organized their message while cross-promoting the different products and solutions that Felins offers. Developing a user-friendly and search engine optimized website attracted prospective clients' attention. Clear calls-to-action encouraged site visitors to contact Felins. By focusing on creating a website that was easy to use with comprehensive search engine optimization, we created a website that keeps users engaged.